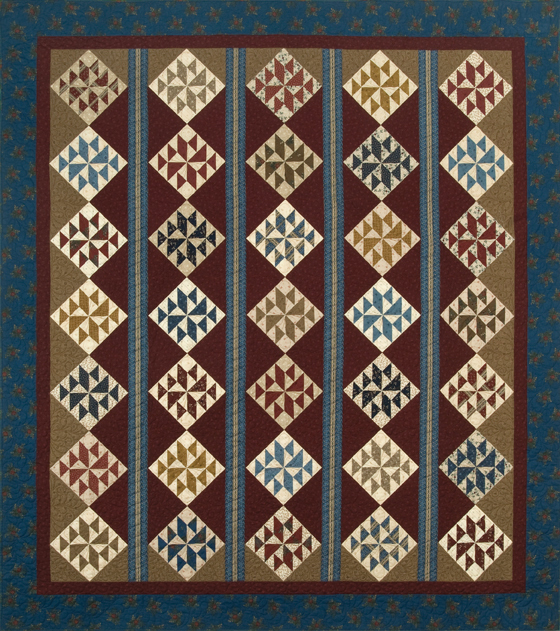 A group of select patterns are on sale for just $4! Or make something new that looks old. There are nine patterns in all. Click here to browse the sale patterns. I'm working on changes to my website with an exciting addition coming soon. Gotta give it a fresh look. As of today, one of the changes I'm most jazzed about is.....if you live in the United States, no matter how much you order, you won't pay any more than $8.95 for shipping! Yay!! 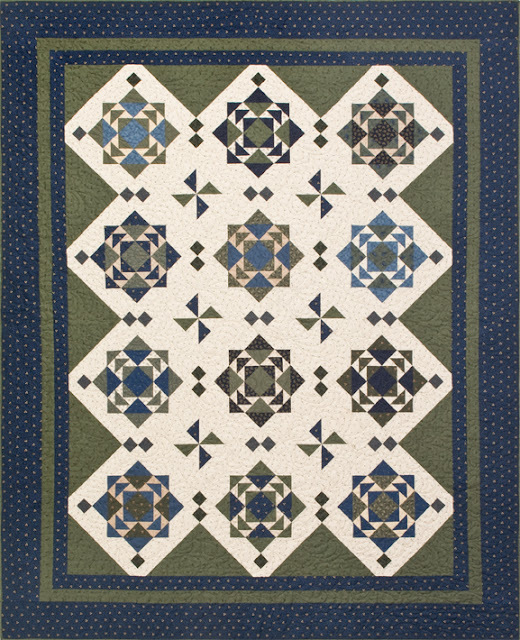 More dollars to spend on fun quilting goodies. It's because of your orders and continued support that I am able to do this, and very happy and grateful to do so. Be well...spend some time with your favorite needle today! This is one of those times when there's a whole lot going on in my studio, but it's for future work that I can't show just yet. It will be this way thru the month of July. So, what am I to do for blog posts during this time? Share a great recipe! Now that the summer berries are ripe, delicious and inexpensive, I've begun making some of my favorite foods using them. Yesterday, I made a batch of Strawberry Coffee Cake Muffins. Oh, so yummy!! I originally found the recipe a few years ago on Pinterest, but I have no idea who the original source is. The recipe uses 2 cups of fresh strawberries, but I feel the batter is adaptable to fresh blueberries or fresh peaches. I like that you can use either regular milk or buttermilk. I have made them both ways and feel that buttermilk is just a little tastier. Buttermilk and/or sour cream in a baked goods recipe does something special to the batter, but if you don't want to buy buttermilk, you won't be disappointed. I thought I would show you how the muffins look in progress. Half the strawberries are folded into the batter, and the other half sprinkled on top. Then, the crumb topping is added. Be still my heart! They are moist, delicious and full of berries. I'll bet a mix of strawberry and blueberry would be great as well. Click here to print the Strawberry Coffee Cake Muffin recipe. I hope you enjoy it as much as I do! 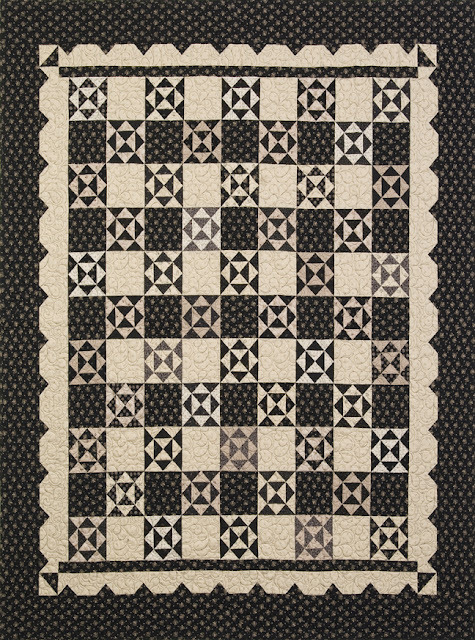 Click here to order the Crossroads Quilt Kit! Enjoy summer's bounty! It's gone too quickly. Camp Independence ~ A New Limited Edition Quilt & Pattern! 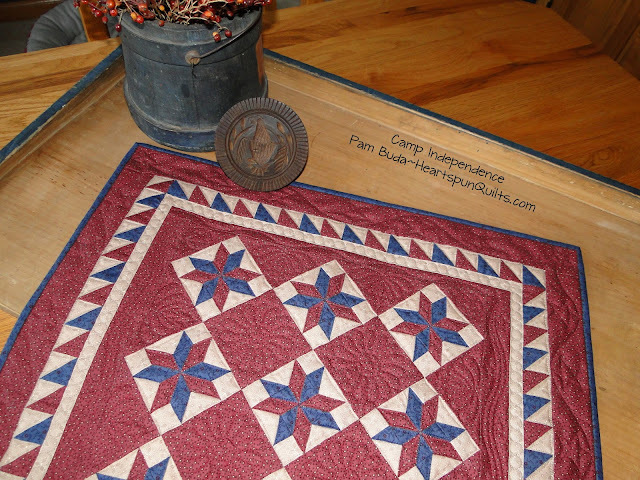 Oh, how I love a red, light and blue quilt!! Match that with a LeMoyne Star, and Sawtooth border, and I'm smitten!! Camp Independence is a replica of a red/light/blue antique quilt I saw in a book a long time ago. I've wanted to make this quilt ever since. I love the simplicity of just three fabrics. The original was done in solid fabrics, and I chose nearly-solid fabrics to make mine. 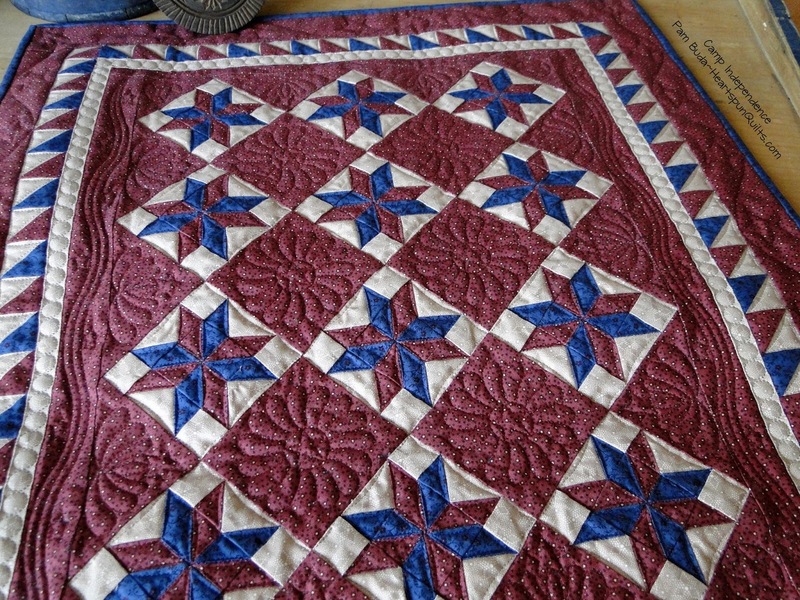 I asked my friend, Ronda, to choose a bunch of patriotic quilting designs for this quilt and I just loved what she chose. 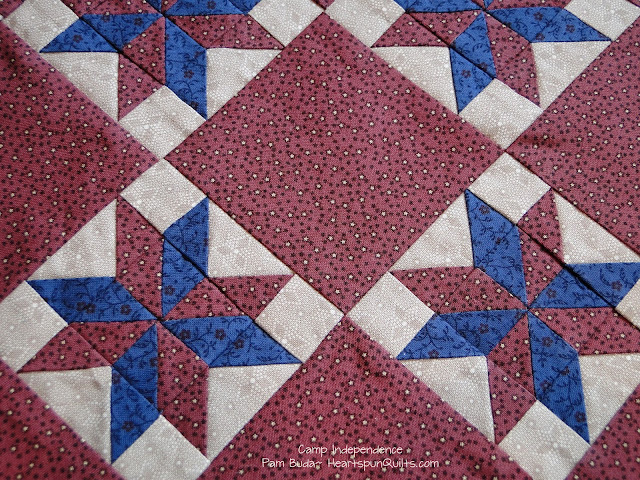 The fabric colors don't show true in these photographs, but the photo sure shows off the quilting! While I truly adore scrappy quilts, they are super labor intensive (as we all know!) 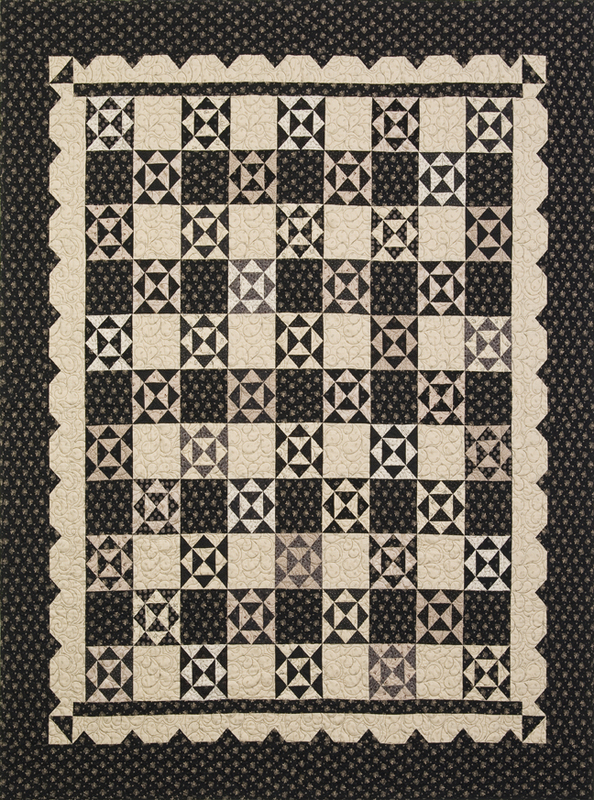 Once in awhile, it's great to work on a quilt with just three fabrics. 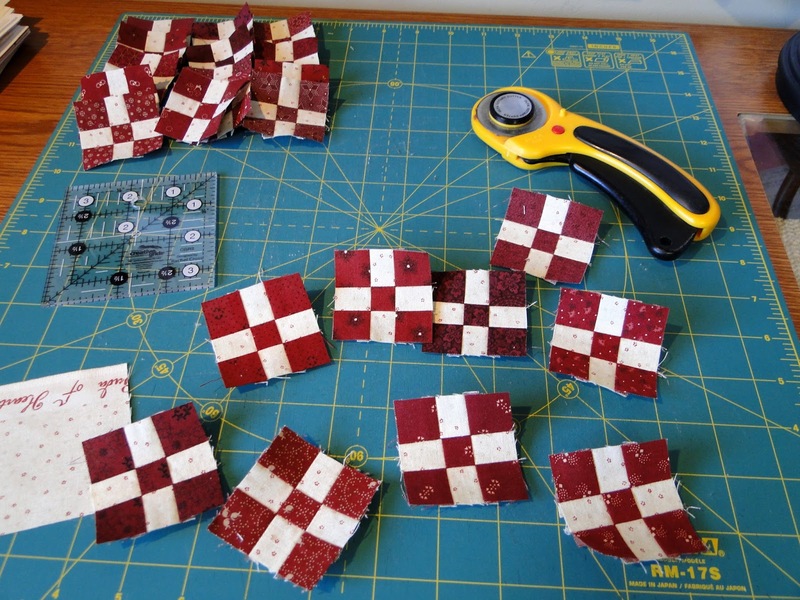 The cutting and sewing are much easier, and therefore, assembly is quicker! 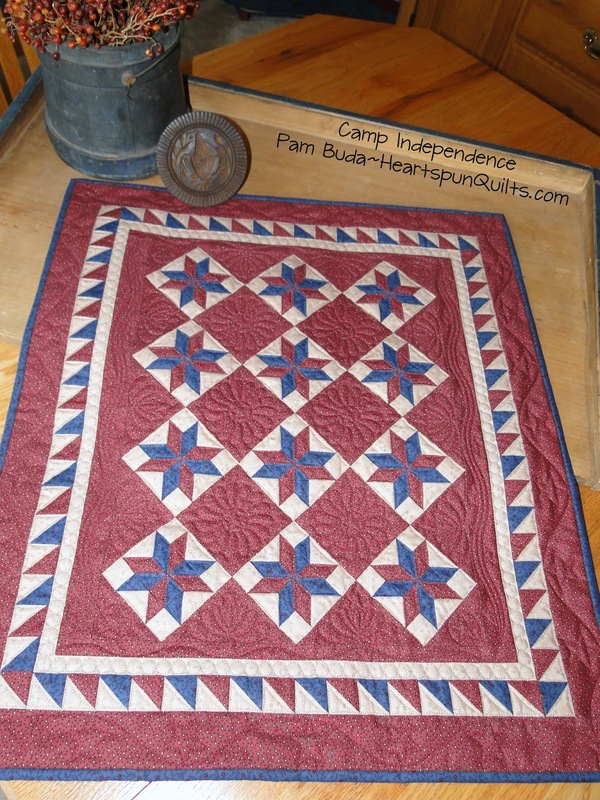 Camp Independence is a Limited Edition quilt kit. 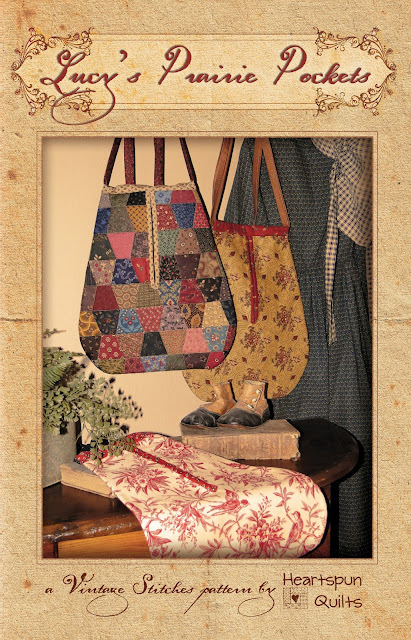 The kit includes the pattern, with color photo, all the fabrics to make the quilt top, binding and includes backing!! The price is $42.75 + postage within the US and quantities are limited. Quilt size is 22" x 26". Click here to order your kit today!! You just might have it done in time for the July 4th celebration. I don't know about you, but I decorate my home in our patriotic red, light and blue all summer long. Summer has definitely arrived here in Chicagoland. The temperatures are well into the 90's, although it's not terribly humid just yet. Ahh...the season we wait all winter for. While I do try to get outdoors as often as I can, I'm working indoors most of the time on a big new project....one I'm very excited about. At this point, though, it's a whole lotta paperwork. Figuring things out and doing all the math is just a part of the job. After a few days of that, my little Nine Patches keep calling for me to play, much like a kid stuck inside doing homework and friends calling you outside. I must focus on the work right now! Nine Patches....stop being so cute and leave me alone! Actually, I shouldn't complain at all because I'm pushing myself to complete the paperwork because I'm escaping to Las Vegas in a few days. My entire family (20+ of us) were all invited to a destination vow renewal ceremony. A cousin and her husband are celebrating their 10th wedding anniversary, and invited the family to witness them renew their vows by none other than Elvis himself (or facsimile of) which is waaaayyy too fun to miss! Do you know of any great quilt shops I should visit while I'm there? 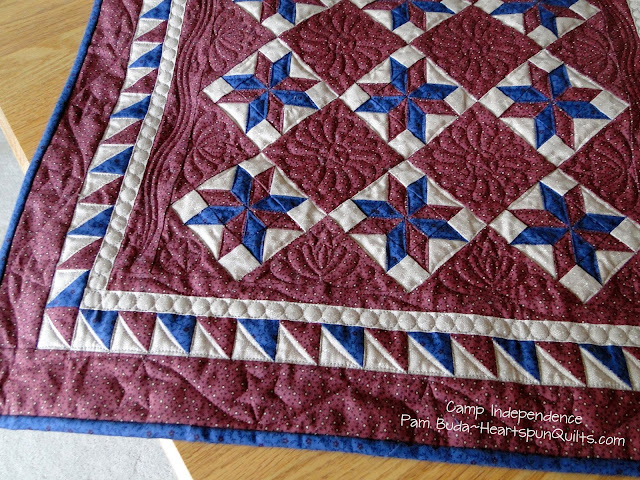 My Limited Edition Camp Independence quilt will post on Sunday! I can't wait to show you how sweet it turned out. I'm rather jazzed about it! Speaking of hot weather, it's forecast for temperatures to be in the 100's while we're there. We've been there before in that kind of heat, and I have to giggle when people say 'it's dry heat'. I think to myself....so is bus exhaust, and you don't like standing behind the bus either! PS - I haven't heard from my Instagram winner, MountainMamaScott....please email your mailing address to Pam@HeartspunQuilts.com, by Sunday, June 18th, so I can send you the Fat Eighth pack. I am delighted over your positive response to my new Quilting Essentials blog posts! Thank you!! That gives me all the more reason to go ahead with the idea. 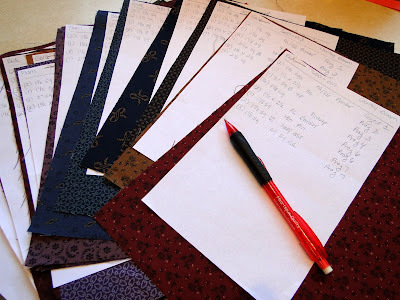 Your many comments of what you'd like to read about in future posts offered several new subject ideas as well, which made me think.....I may not have the same problems or issues in piecing that you do, especially all of you whom are beginners, and so wouldn't think of writing about it. So....please keep telling me what problems you are having, and if I use your suggestion in an upcoming post, I'll send you a little freebie! We'll just tackle piecing one blog post at a time and we'll all be the better for it! Sharing....Is such a good thing!! A big THANK YOU to all of you who took the time to comment and helped spread the word by sharing. I truly appreciate it! 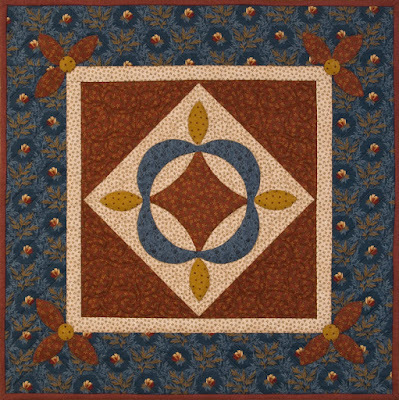 Blog Comment: delaineelliott commented: I would love to talk about color selection in quilts - what colors go with what. I also wanted to thank Bonnie58 for sharing her hint with all of us....one I had never heard before and thought you might like this. She said: Love your blog ~ thanks Pam. My hint is to measure your 1/4" seam on every different set of fabric you sew. They can all be different thicknesses which can affect your final seam width. My new Limited Edition quilt design, called Camp Independence, is now quilted and being photographed. 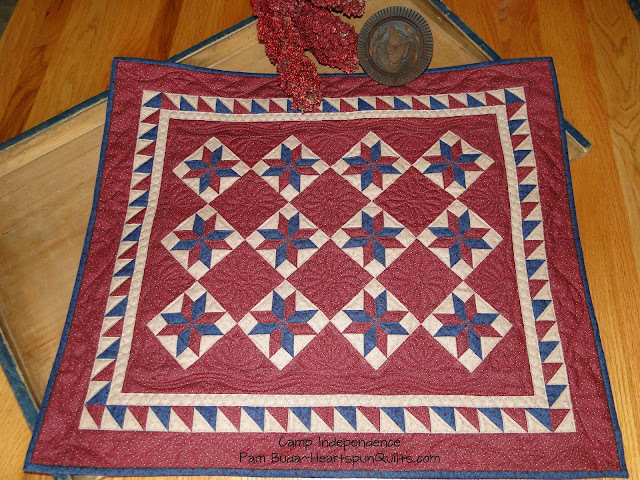 Oohhh...it's so darn cute with the most adorable collection of patriotic quilting designs and quilted by my friend, Ronda. Can hardly wait to show it to you! Kits will be available for immediate shipment....Just in time for your July 4th celebrations! 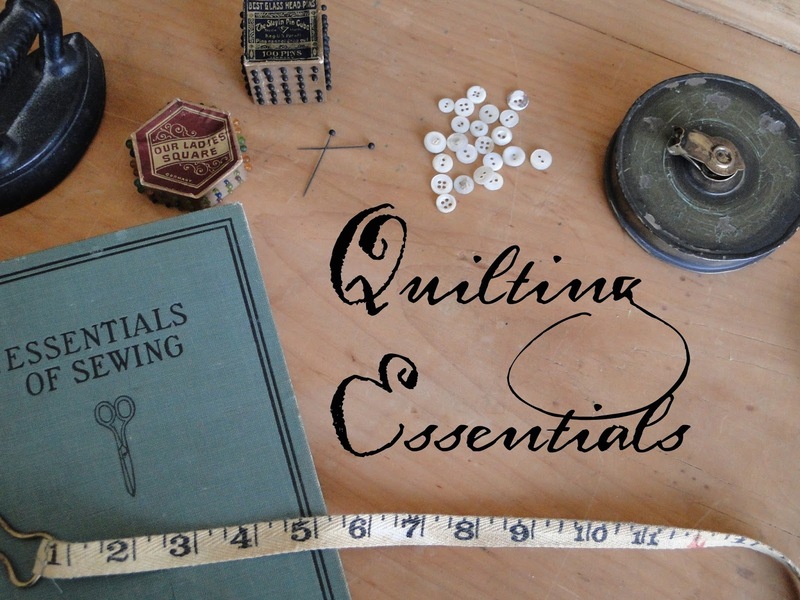 Be well.....any day spent quilting is a good day!